Combine a soul-stirring city break to Marrakech with a laidback beach trip to Essaouira. Here we've listed the best direct ways to get from Marrakech to Essaouira. There are two national bus companies in Morocco, both of which offer direct routes to Essaouira. The CTM bus runs twice a day between Marrakech and Essaouira. The bus stop you need departs from Marrakech's bus station or alternatively, the CTM offices in Gueliz. Click here to read full information on the CTM website. Supratours is another national bus company, operating across Morocco. 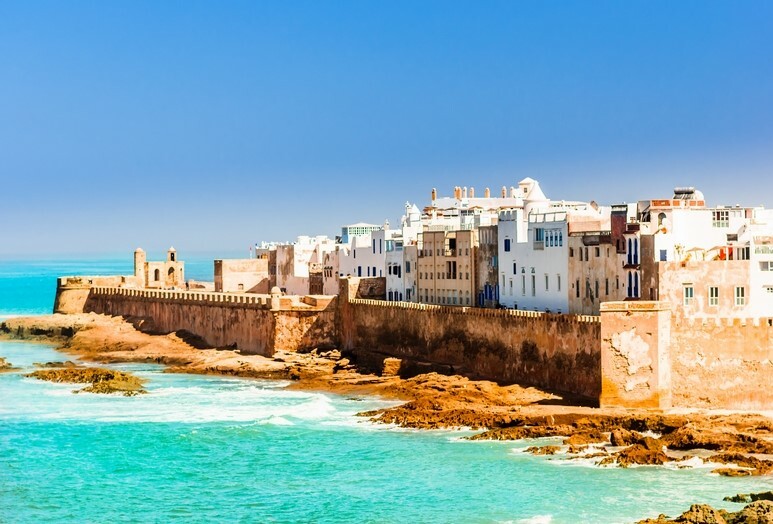 From Marrakech, Supratours buses offer routes to Essaouira with varying durations. Click here to read full information on the Supratours website. A taxi will naturally be more expensive, but it is a reliable and comfortable way of getting from Marrakech to Essaouira. It is also relatively easy to pick up a taxi in most destinations, including Marrakesh Menara Airport. It is worth trying to haggle the price before you start your journey, but you should allow for around 450 dh - 1,000 dh. Hiring a car from Marrakech to Essaouira gives you complete flexibility and convenience. Car hire providers in Marrakech include Avis, Hertz and Sixt, to name a few. Stay in one of our villas and apartments in Essaouira. We also have a range of holiday houses in Marrakech.